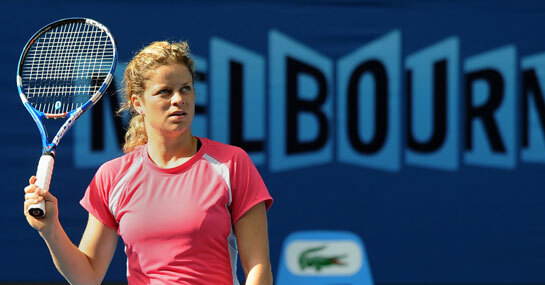 Kim Clijsters is the woman to beat at this year’s Australian Open and what looks a potentially tricky first round tie on paper, should prove easy for the world number three. Dinara Safina has dramatically fallen from grace since becoming world number one and she is now ranked 75th and has lost in the first round of her last four tournaments. Despite being the short priced favourite to win the Australian Open, Clijsters is 1/12 to beat Safina – relatively short when compared to the likes of Nadal (1/500) and Federer (1/100) to win their opening round matches – and punters can find some value in backing Clijsters. The two have met nine times previously and Clijsters leads the head-to-head 7-2 and in those nine games the winner has never dropped a set – Clijsters is 3/10 to win 2-0. Other notable female names appearing on the Melbourne courts in the early hours of Tuesday morning are second seed Vera Zvonareva, (1/16 to beat Sybille Bammer), Jelena Jankovic (1/3 to beat Alla Kudryavtseva) and Ana Ivanovic (2/9 to beat Ekaterina Makarova). Home favourite Sam Stosur is also on court on Tuesday morning and she is 1/33 to beat American qualifier Lauren Davies. The Australian crowd is hoping for a strong performance from Stosur after her recent strong form, and the fifth seed is expected to do well in front of her home support. Punters looking for a bit of value can find it in the 1/1 for Kristina Barrios to beat Akgul Amanmuradova as Barrios holds a 2-0 head-to-head record over the Uzbekistani, including a win in last year’s 2010 Australian Open. World number 60 Iveta Benesova takes on world number 81 Anabel Medina Garrigues and Garrigues, who beat Benesova when they last met in Hobart 2010, is the value at 5/4 to win. A £25 double on Medina Garrigues and Barrios winning would return £112.50. New customers can sign up here for a free £25 bet.